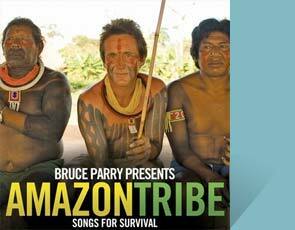 Bruce Parry, star of the BBC series’ ‘Tribe’ and ‘Amazon’, has teamed up with some of the music world’s biggest names to create a fundraising album for Survival. Every track on the album is exclusive, and they have all been written especially for the project. The album is available on iTunes, at Amazon.co.uk, Amazon.com and in selected stores.